I got some great feedback yesterday following my post about splitting up the mechanicvm warband to create a narrative of sorts. As many of you said the best way is probably just to keep on producing minis and sort them into "imperial"and "radical" afterwards. Let the chips fall where they may so to speak. One particularly great comment came from Henry South, who suggested I´d do a small gribbly of some sort after all the giant robots and more human sized models. Looks cute. What base is he on? Yeah. He feels like a companion to the cherubivm I made a while ago. He´s on a 25 mm base. Thanks Tony! It always feels like coming home returning to the grimdark gribbly side of the imperium... Though there are people like Kari and Bruticus who do the really f----d up bodyhorror grimdark much better than me. I´m more "heroic grimdark" or "grimdark light". Awesome man. Whats their purpose? ooooo you could have them as bone pickers. the mechanicum must get through a lot of bone. Excoriator means "flayer of skin" in latin so... Yeah. Let´s just say he helps out Symmachus during his experiments and leave it at that. Really interesting concept and design. Cool work! Oh! Gribbly indeed! Awesome little dude. 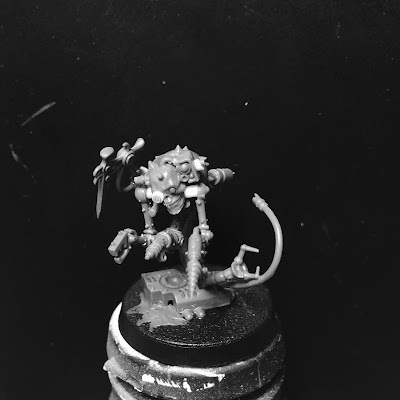 I think I'll get back to work on my Genestealer Servo Skull. You're a great one for inspiration, man. Cheers mate! Glad to help out! Reminds me of something out of that Tim-Burton-Produced film called 9 - super cool. Ha! yeah - theres something grimdark about that one. Crap movie, but definitely some interesting designs. Neat little model! You do a lot of really nice work. Glad I stumbled in here at random. Cheers mate! Welcome to my little corner of the internets. I feel guilty for not knowing, but what kit are all these wonderful little arms and claws from? 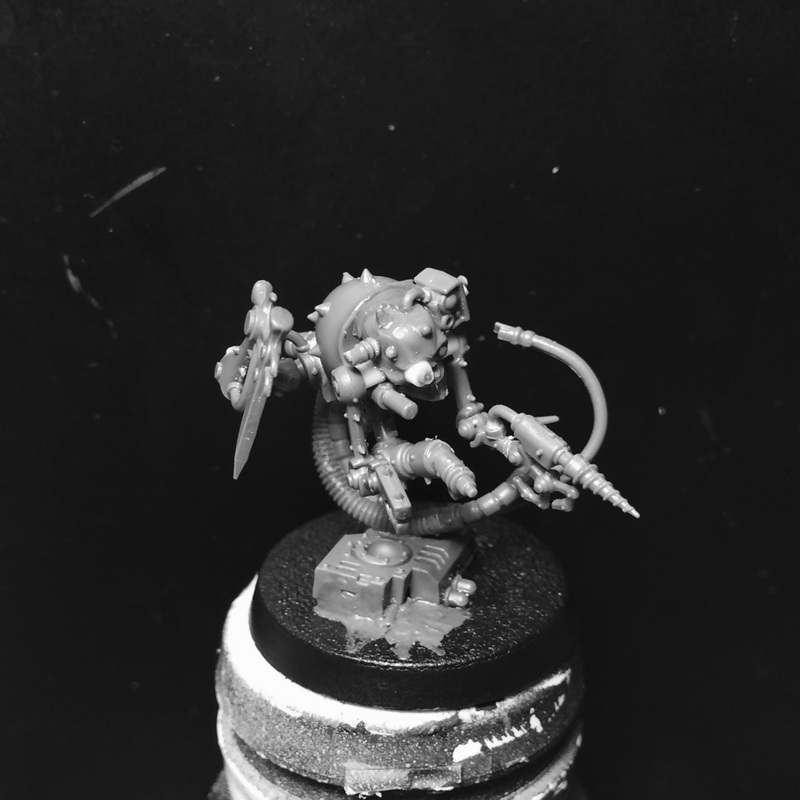 I am pretty certain the one I see most often is from the Talos kit, thats the one you used on the Rossum Machine cultist correct? Shame on you for not recognizing a bit! The vestical arms are from the new Kataphron kit ( and the cultists arm is from the ironstrider). 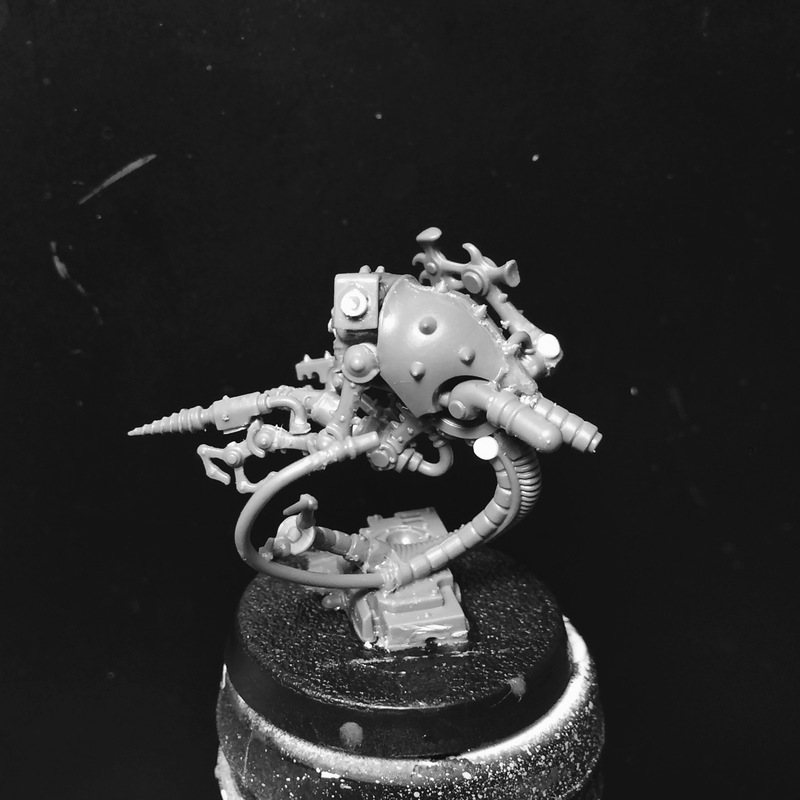 Lots and lots of cool bits like that in the mechanicvm kits.